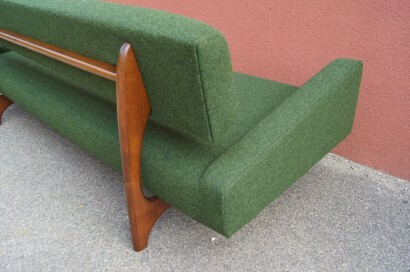 The exuberant lines of Adrian Pearsall’s 829-S sofa for Craft Associates make for an eye-catching piece. 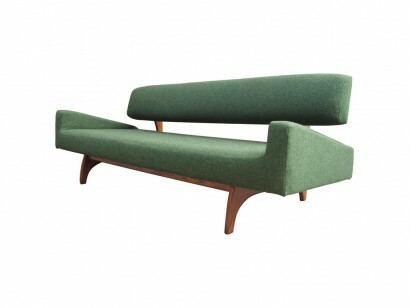 A walnut frame with gently arced legs brackets a deep seat and bolster-like backrest. 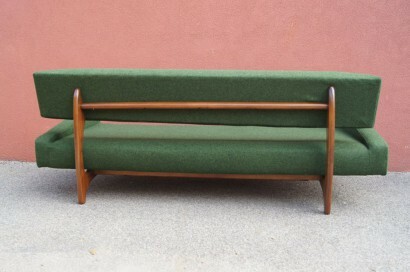 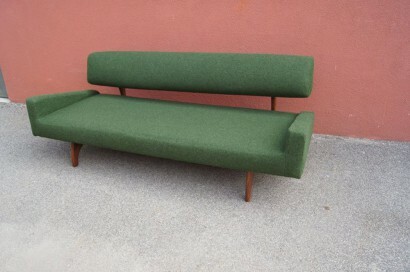 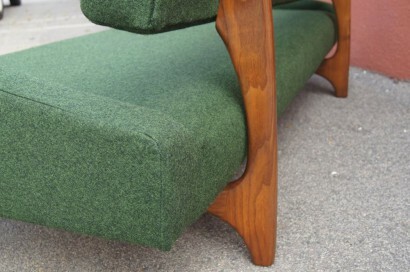 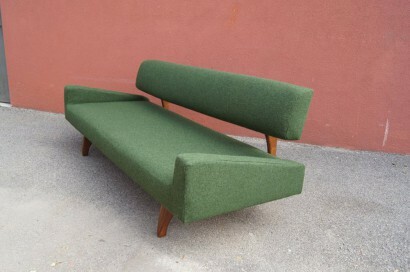 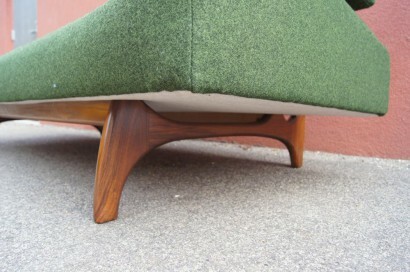 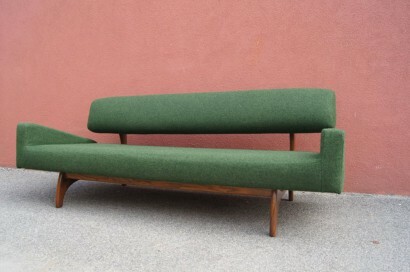 The forest green wool felt of the new upholstery (Maharam Divina Melange by Kvadrat) perfectly complements the wood.